Montgomery Bernard "Monty" Alexander (born 6 June 1944) is a jazz pianist. His playing has a Caribbean influence and bright swinging feeling, with a strong vocabulary of bebop jazz and blues rooted melodies. He was influenced by Louis Armstrong, Duke Ellington, Nat King Cole, Oscar Peterson, and Frank Sinatra. Alexander also sings and plays the melodica. He is known for his surprising musical twists, bright rhythmic sense, and intense dramatic musical climaxes. 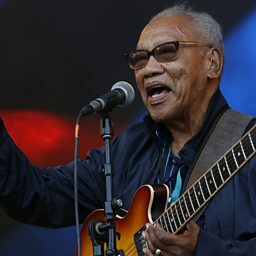 Monty's recording career has covered many of the well known American songbook standards, jazz standards, pop hits, and Jamaican songs from his original homeland. Alexander has resided in New York City for many years and performs frequently throughout the world at jazz festivals and clubs.